A primordial star at the outer edges of our Milky Way galaxy upsets current theories of star formation in the universe. 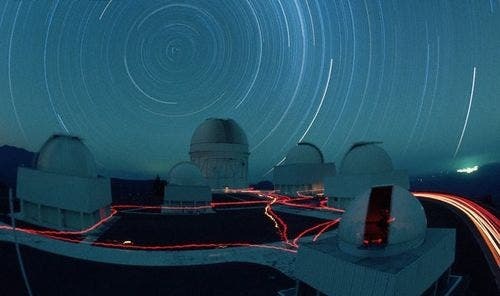 The star simply shouldn't exist since it lacks the materials astronomers have long thought necessary for low-mass stars to form, scientists say. 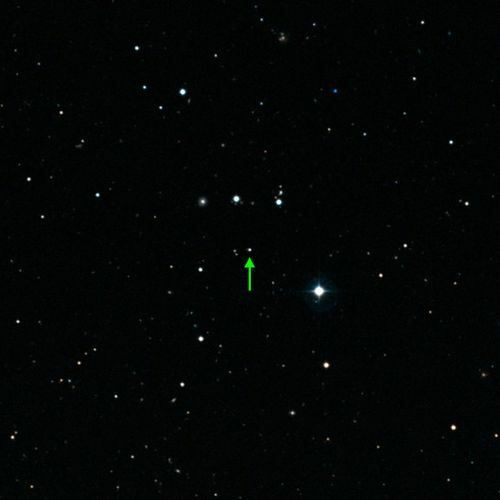 When Lorenzo Monaco of the European Southern Observatory in Chile and colleagues examined the elemental composition of the oddball star, prosaically named SDSS J102915+172927 (image below), they discovered that it has a mass smaller than that of the Sun, and is probably more than 13 billion years old. "This star has the composition that is the nearest that has been found up to now to the big bang composition," says Piercarlo Bonifacio of the Paris Observatory, France. 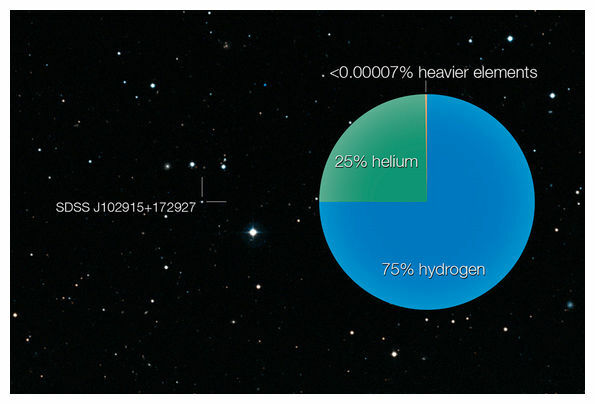 The low concentration of chemical elements heavier than hydrogen and helium suggests it is the most primitive star ever discovered, yet the exact ratio of these heavier elements suggests it is younger. Much, much younger. "In some sense it is a perfectly normal star, but it is different because it's in a very low metal range," Monaco says. The relationship between a star's age and its elemental composition stems from the way the early universe evolved. The first stars are thought to have condensed out of the hot soup left over from the big bang and contained only hydrogen, helium and a trace of lithium. Most were giants tens of times more massive than the sun, that quickly exploded as supernovas spewing elements from carbon to iron, which subsequent generations of stars incorporated. The process occurred again and again, with younger generations of smaller stars acquiring larger fractions of heavier elements. Which is how our Sun eventually formed. Until now, the universe seemed to agree. Astronomers had found only three stars with very low amounts of heavier elements. They were low-mass, and oxygen and carbon dominated the traces of heavier elements, which meant they passed the carbon-oxygen threshold needed to form a low-mass star – despite having a very low concentration of heavier elements overall. But SDSS J102915+172927 is different and a mystery: it's composed almost entirely hydrogen and helium, making it look like one of the very first in the universe. When Monaco and colleagues used two spectrographs at the Very Large Telescope in Chile to examined its elemental composition, they found it had the lowest content of heavier elements ever seen yet – 4.5 millionths that of the sun. But similar to modern stars, its oxygen and carbon levels do not dominate over the other heavier elements. This means there is not enough carbon and oxygen overall to meet the critical threshold needed to form a low-mass star. According to the theory, this star should not have been able to form. One theory is that that the star is indeed near-primordial and that its nursery was cooled interstellar dust rather than carbon and oxygen. It's also possible that low-mass, low-metal stars like this one could be detritus from giant stars' birth, suggests Abraham Loeb of Harvard University according to New Scientist.